At least a few times per year, a client comes into my office and declares that he or she has made the decision to relocate and to take the children of the marriage with them to a different state. The justification for the move is not always the same. Some clients want to move because they have received a job offer in a different state, others want to relocate to be with a new significant other, many clients want to relocate to be near their family members, and others can only justify their desire to relocate by explaining that the grass has to be greener somewhere else. If you are considering relocation with children during separation or after divorce, don’t pack your bags and rent a moving truck just yet, there are several factors to consider. Is there a custody schedule in place? If there is not a custody schedule in place, is there a claim for child custody pending in North Carolina even if a custody determination hasn’t been reached by the courts yet? If there is not a child custody schedule and there is no pending claim for child custody, you do not necessarily need the courts permission to relocate. However, if you relocate without the permission of the other parent, the children can be ordered to be returned to North Carolina. If a parent relocates without the permission of the other parent, and North Carolina is the “home state” of the minor children (they have lived in North Carolina for at least six (6) months) the non-moving parent has the ability to file a motion for emergency child custody asking the Court to order that the moving parent return the children to North Carolina and the non-moving parent has the ability to file a Complaint for child custody requesting that North Carolina make a determination as to the temporary and permanent custody of the minor children. Further, the moving parents act of relocating with the children without the non-moving parents’ permission can be looked upon unfavorably by a Judge at a later custody proceeding. If there is a custody schedule in place, or there is a pending claim for child custody, paragraphs 1 through 5 should be taken into consideration. What is the likelihood of compliance with the custody schedule once the moving parent is no longer in the jurisdiction of North Carolina? Are you moving from Charlotte to Fort Mill, South Carolina, or are you moving from Charlotte to New York? If there is an existing parenting schedule in place, moving any significant distance will likely substantially impact the other parent’s ability to exercise his or her parenting time with the children. For example, let’s say Mother decides to move to New York from Charlotte, North Carolina, with her two children and, under the current parenting schedule, Father spends time with the children every other weekend from Friday evening until Monday morning. If Mother moves to New York, Father would be unable to exercise his parenting time due to the distance between them. Father’s ability to attend doctor’s appointments, school plays or be involved in the day-to-day lives of the children would be considerably reduced. Assume instead that Mother moves from Charlotte to Fort Mill, South Carolina. Presumably, Father would still be able to exercise his parenting time and the impact on his ability to be involved in the children’s day-to-day lives should be relatively small. 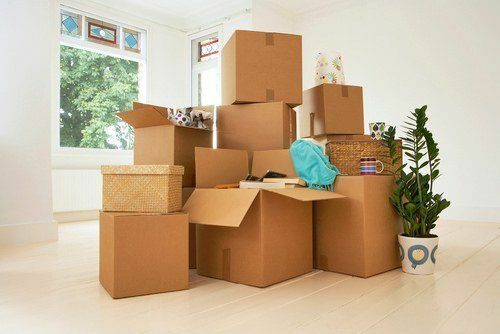 Often, a smaller move is more likely to be allowed by the courts than a longer distance move. What are the advantages of the relocation in terms of capacity to improve the lives of the children? Courts will carefully consider how the children will benefit from the proposed move. If there is little or no benefit for the child from the move, it is less likely that the court will allow relocation. For example, are there unique or better educational options, will the children be closer to extended family, or are there more opportunities for those particular children to grow and flourish where the moving parent is wanting to relocate? What if, instead, the parent is moving away from family, the children attended church regularly, played organized sports and have made many friends in their current community? Is the relationship between the minor child and the non-moving parent a close and loving relationship? Will travel to and from the proposed state interrupt the children’s schooling and social life? If the answer to any of those questions is “yes”, moving might prove to be an uphill battle, but it is not impossible. What are the motives of the primary custodial parent in seeking the move? Some clients want to move to punish the other parent and to keep him or her from being involved in the lives of their children. Others want to move because they don’t like the fickle North Carolina whether and sweltering summers. These reasons will likely not be persuasive when arguing to the court that a move should be allowed. The court looks more favorably on a good faith proposal to move that is grounded in logic and reason. A good faith proposal to relocate could include a parent moving to be closer to family and their support system or when they have been offered a job in a different state after months of unemployment in North Carolina despite their best efforts to find local employment. What is the integrity of the non-moving parent in resisting the relocation? Much like the inspection of the motives of the moving party, the court evaluates the non-moving parents’ objection to the relocation. For example, if a parent rarely exercises his or her parenting time, is not regularly involved in the day-to-day lives of the children, or has limited visitation that would be minimally impacted by the move, and nonetheless objects to the move, the Court will likely give less weight to the objection of the non-moving parent. If the non-moving parent objects because he or she will go prolonged periods of time without seeing his or her children, he or she is concerned that the distance will negatively impact his or her relationship with the children, or he or she objects because the move does not benefit the minor children and, instead, removes the children from a healthy and happy environment, the court will likely give more weight to the objection of the non-moving party. What is the likelihood that a realistic visitation schedule can be arranged that will preserve the relationship between the non-moving parent and the child(ren)? If the move is allowed and the previous custody schedule is no longer feasible, can a new schedule be crafted that is in the best interests of the children? Often, when a relocation is allowed and regular weekly or bi-weekly visitation is no longer feasible, the court looks for ways to provide larger blocks of time to the non-moving parent. For example, if Father is no longer able to exercise visitation every other weekend from Friday evening until Monday morning, the court might give him visitation on long weekends, holidays or breaks from school (Spring/East Break, Fall Break, and teacher workdays) and for extended periods of time during the summer months. Other factors that the court might consider when determining whether or not to allow a parent to relocate with the minor children includes, but is not limited to, the prior bad acts of a parent (abuse and domestic violence), drug and alcohol problems, and the parent’s adult relationships including non-marital sexual relations. As you can see, there are many considerations when deciding whether or not to relocate to a different state. If you sign a leave, or get rid of your local housing, and a court ultimately determines that the children cannot be locate, you stand to lose substantial time, money and possibly even primary custody of your children. For those reasons, it is best practice to contact an experienced family law attorney to help guide you through this process when considering relocation. We are here to help discuss your options and develop the best strategy and plan for your family. Please contact Dozier Miller Law Group today at (704) 372-6373.